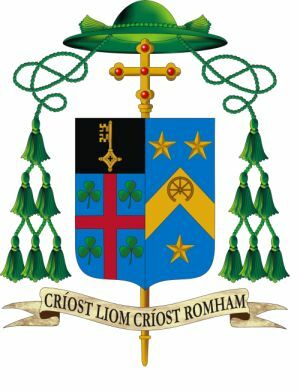 The Bishop-Elect’s Coat of arms consists of: on the left hand side, the ancient arms of the Diocese of Killaloe, and on the right, the personal coat of arms, chosen by the bishop himself. The arms also include the broken chariot wheel of St Jarlath which represents the new Bishop’s priestly ministry in the Archdiocese of Tuam and long association with St Jarlath’s College prior to his appointment as Bishop of Killaloe. BishopElect Fintan has chosen as his motto; “Críost Liom Críost Romham” – Christ with me, Christ before me. These words are taken from Lúireach Phádraig, (St Patrick’s Breastplate), a 5th Century Irish Hymn whose lyrics were traditionally attributed to St. Patrick and his ministry. The words reflect Bishop Fintan’s prayer and hope for his ministry as Bishop of Killaloe. 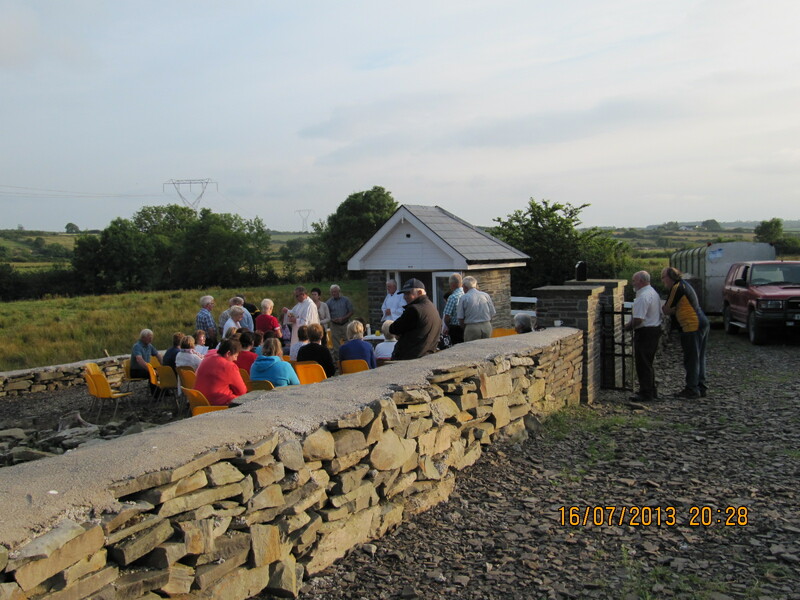 Mass will be celebrated at the Cillin, Clondrina on Friday 12 August at 8pm. All are welcome to come and pray for all who are buried there and for all the faithful departed.